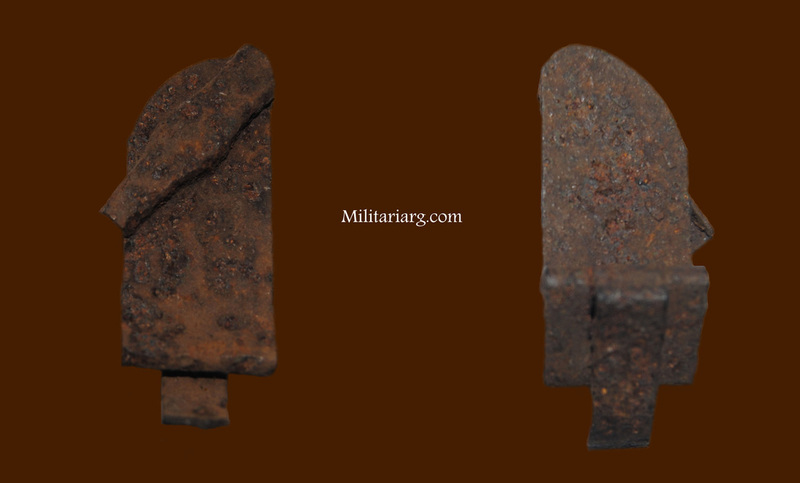 Eastern Front WWII Italian Alpini m33 Helmet Feather Holder, (Nappina Metallica) Relic found in Russia. Italian religious medals found in Russia. These medals are from "The Madoninna del Duomo from Milano". This virgin was the protector of the Italian armed forces during WWII. 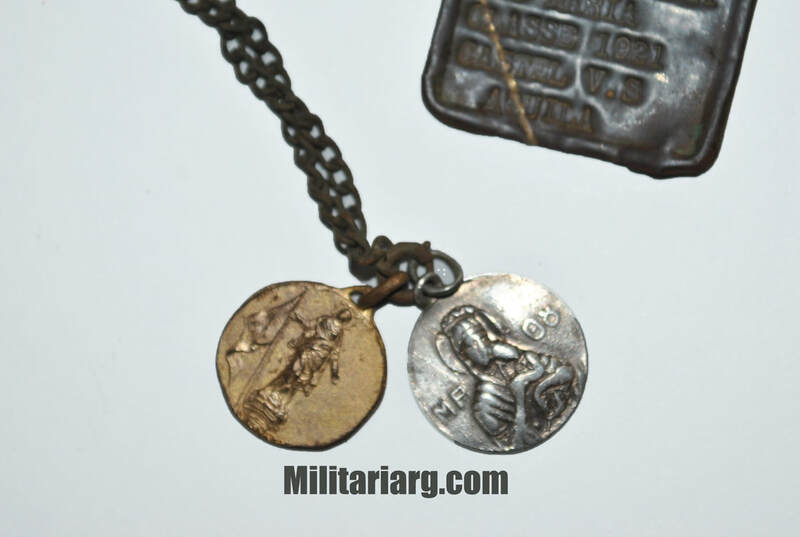 These medals were given by chaplains to the soldiers. 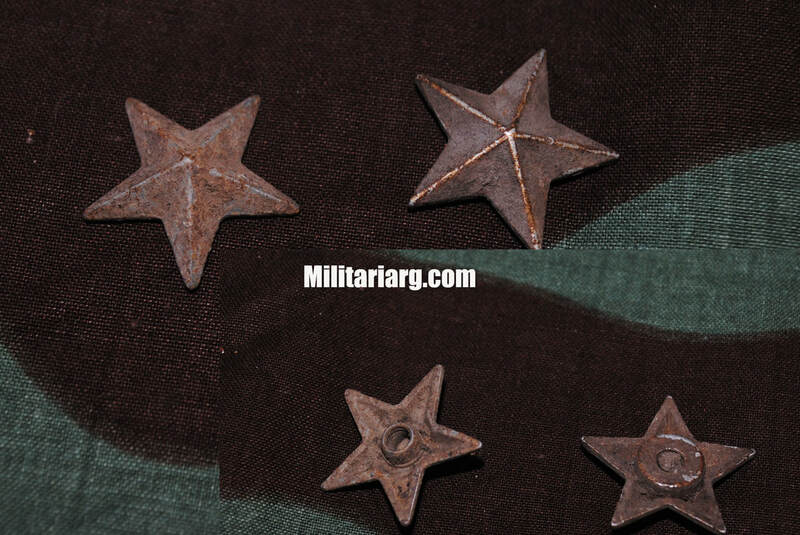 They were either used next to the dog tags or as a bracelet. 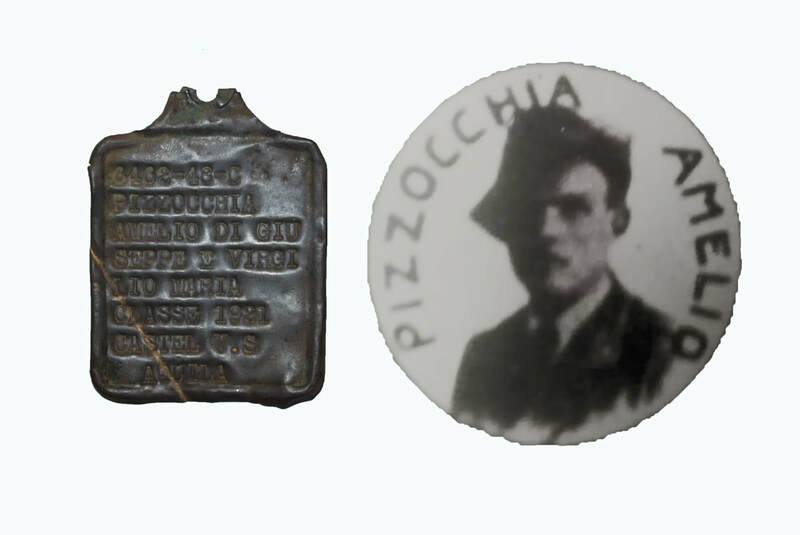 The medals were returned to the soldier's family in Italy along with the dog tag. 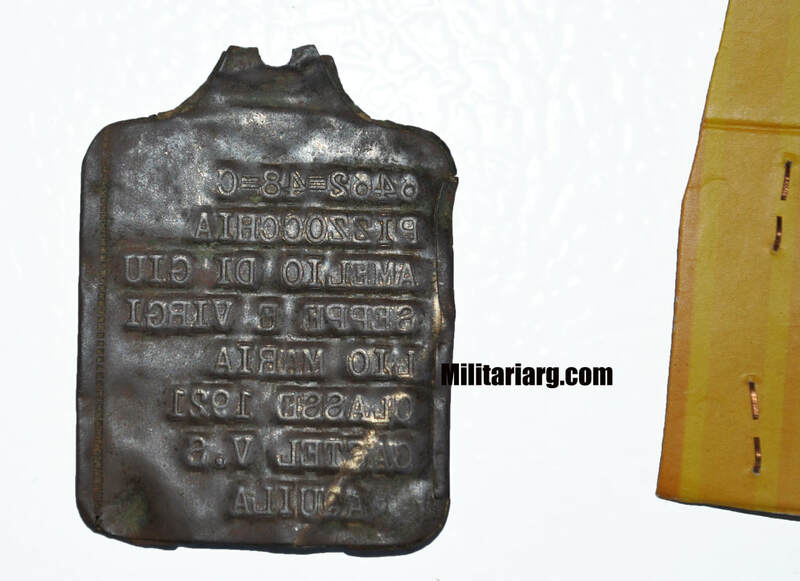 Recognition tag, commonly known as "Military Dog Tag". 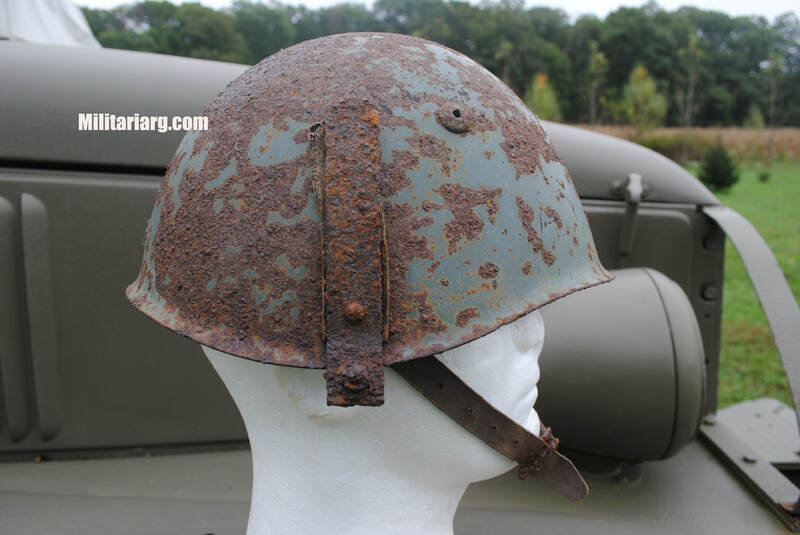 It had belonged to an Alpino soldier, born in 1921, and dead at 21 years old, in the Popovka combat between December 1942 and January 1943. 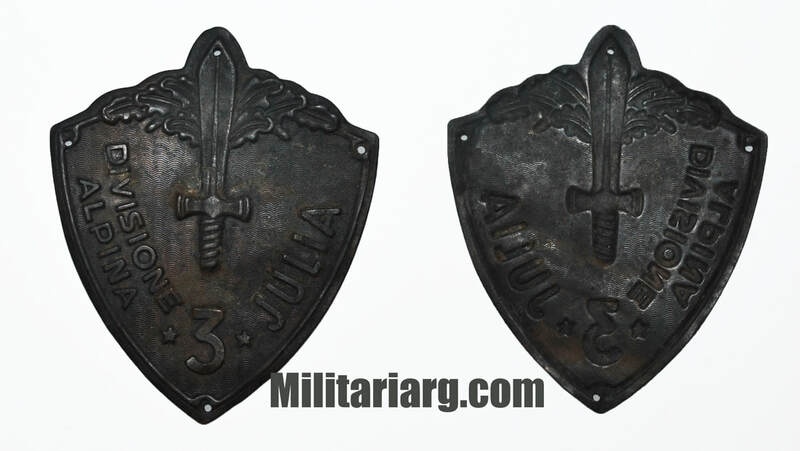 He had belonged to the "Aquila Battalion",the same one from Julia Division that had already survived in Greece. 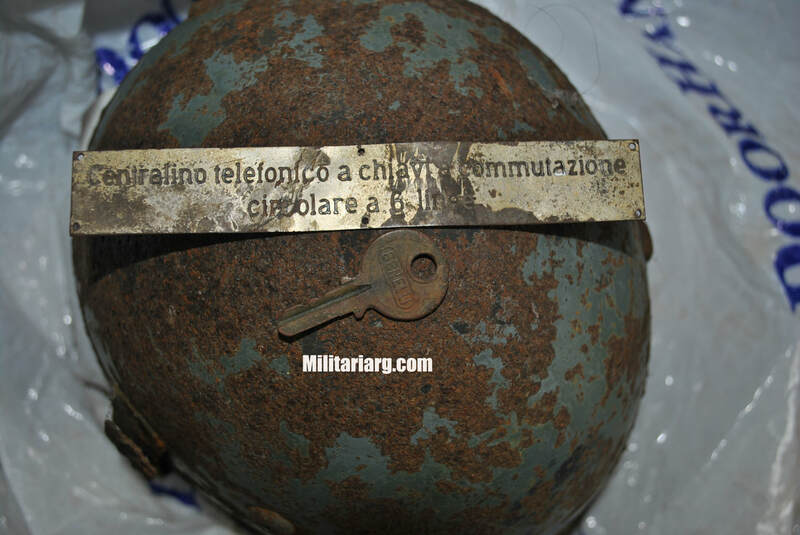 The piastrina, as it is said in Italian, has been returned by the webmaster of this website to his relatives in Castelvecchio, province of L'Aquila together with the religious medals. 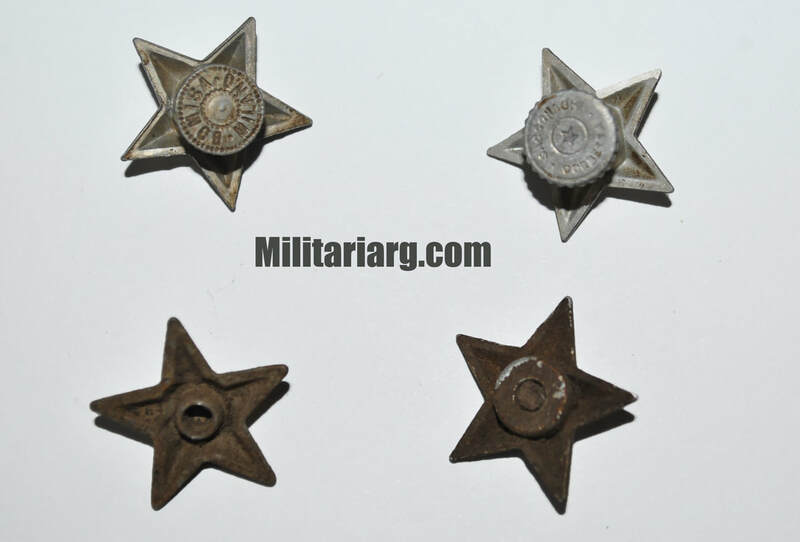 3rd Alpine Division Julia; Metal Arm Badge found in Russia. 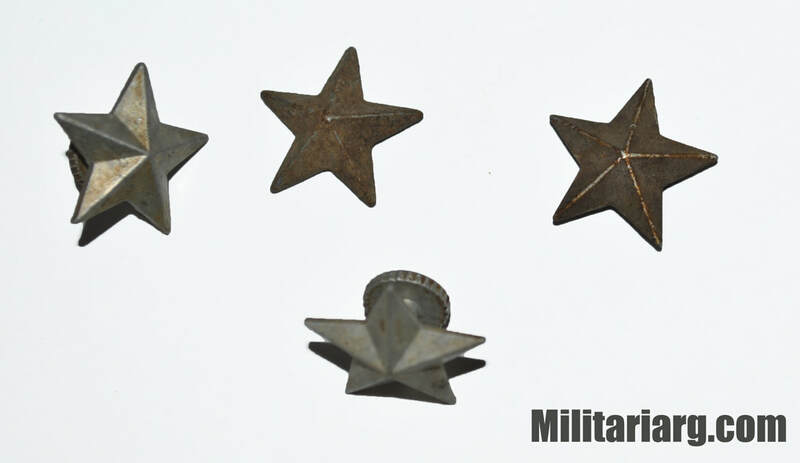 Alpini stellette (Collar Officer and Troops stars) found in Russia. 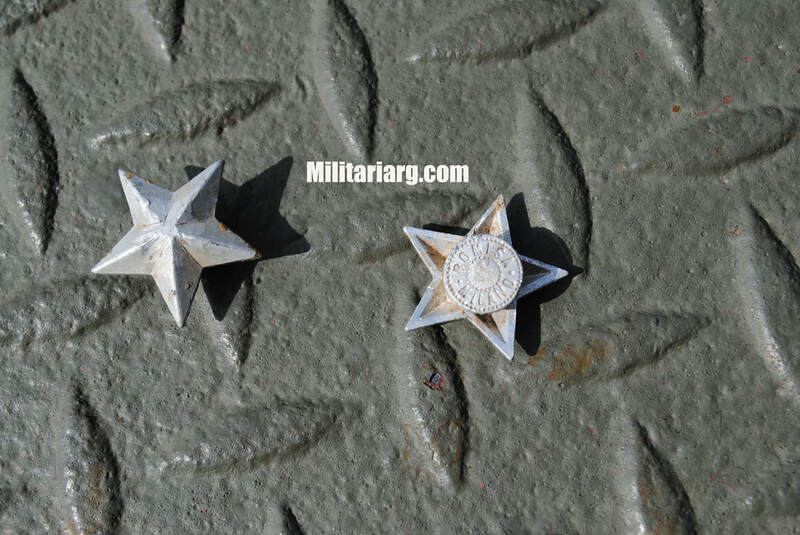 Regio Esercito pair of collar stars for officers in relic state, found in Russia. 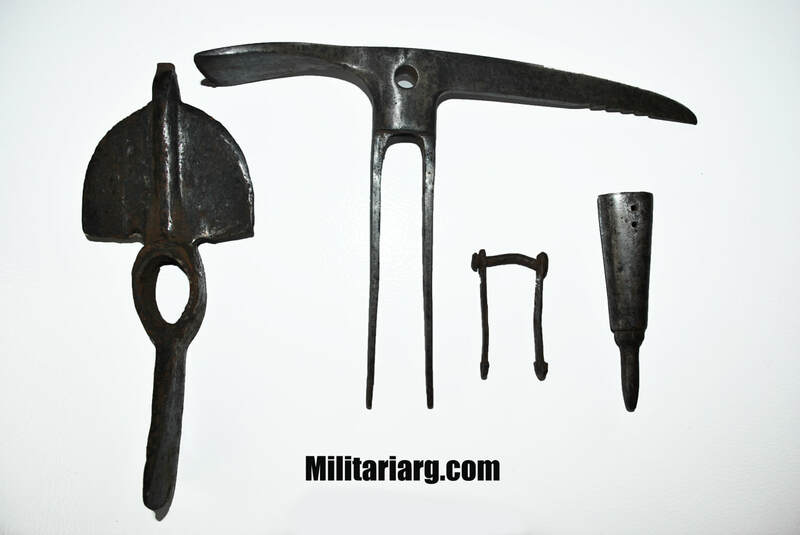 Piccozze; Alpini mountain tools found in Russia. 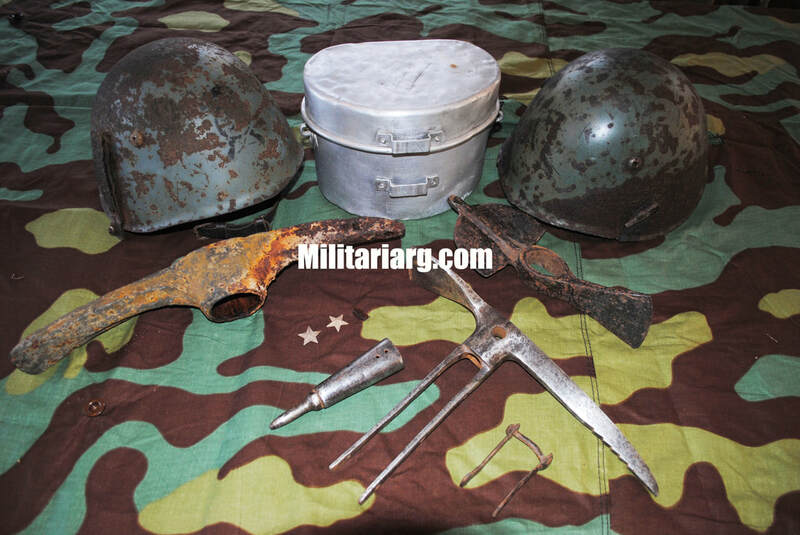 Italian radio station plaque "Centralino telefonico a chavia commutazione circolare a 6 lienee" and Motocarro (Motocycle + wagon), Benelli battlefield relics fron East Front, Divisione Celere Positions. 54th (?) 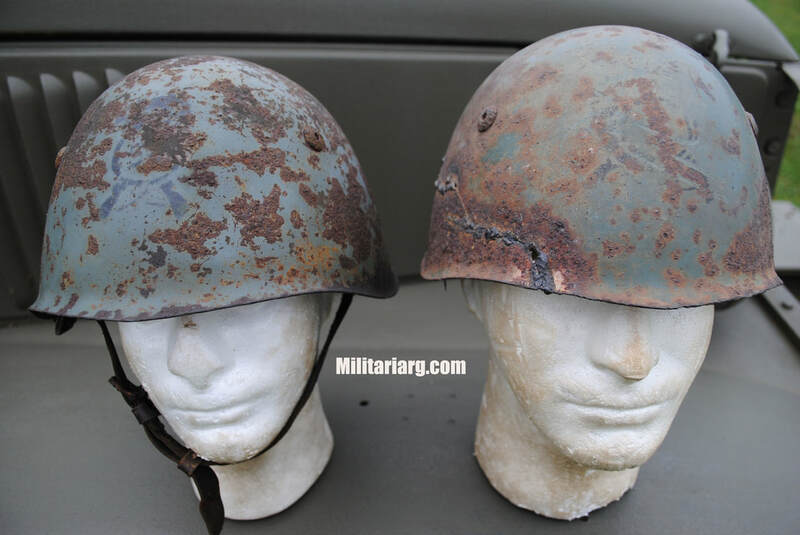 Regiment and Alpini M33 Helmets. East Front Relics. This is an M33 that has remnants of the stencil. It appears to be a 54, but has a bersaglieri leather holder. It is mysterious as to why it is there. 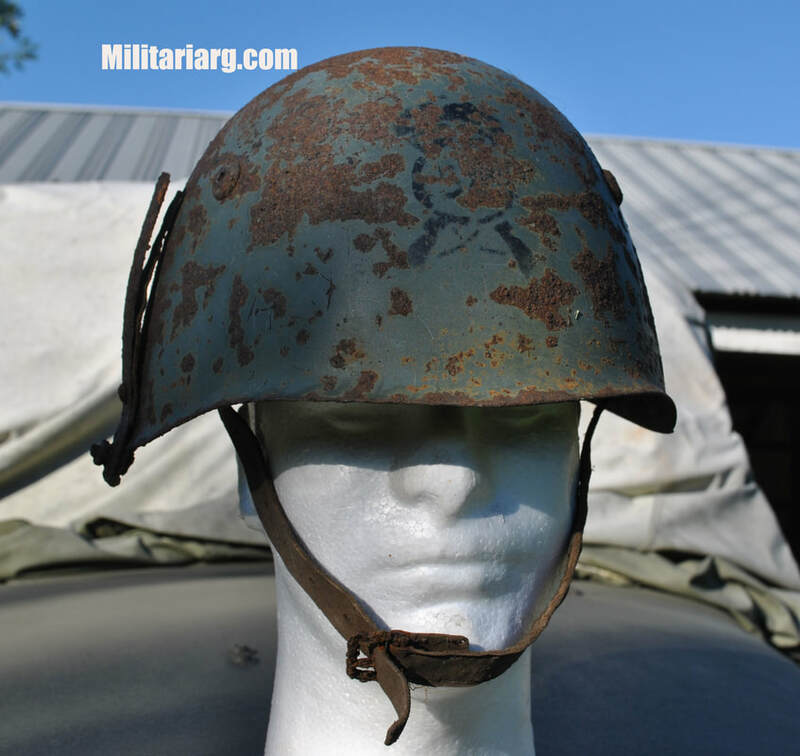 The rust has it fused to the helmet.